May 20th, 2013 | Bekins Happenings, Moving Tips. 12. Ensure your pets are ready for a move. There’s no question that moves are stressful for all parties involved. Leaving a familiar place to go somewhere completely unknown can be a traumatic experience, and not just for the humans involved. Imagine an animal who has never known any place but their comfortable home. To travel, sometimes several hundred miles, and turn up in a place that’s strange and new for them would be scary! 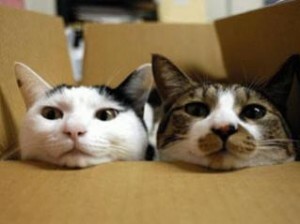 Bring some moving boxes into your home ahead of time so that your pet can get used to the idea of moving. Animals like to investigate. They like to sniff. They like to feel as if they are in control of a situation. Bringing these boxes in ahead of time will allow your pet to grow accustomed to this sight and not be so frightened on moving day. Your pets might even like the boxes so much, they decide to take naps in them! How else have you helped your pet prepare for a move? 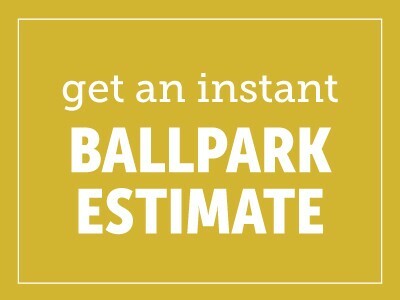 There are more helpful moving tips on our blog – check them out! yeah great thing to know while moving to new home or while traveling. 1.Use a pet hair sticky roller, like the Scotch Pet Hair Roller, on clothing and furniture to remove patches of unwanted hair. If you don’t have a pet hair roller, use packing, masking or duct tape by wrapping it around your hand and wiping or patting down your clothes or furniture. 2. Lightly dampen the affected area with water and use a stiff bristle brush to pile the hair together and throw the hair away. Don’t use this method on any sensitive fabric in which the brush could cause damage. 3. Rubber gloves are also a nice trick to use. Put on a pair of rubber gloves and wipe the hair into a pile. This process may take a few tries before the pet hair is completely removed.